In this second part of a two-part interview by Government Book Talk blog editor Michele Bartram, Col. Robert M. Cassidy, author of the new, critically acclaimed book, War, Will, and Warlords: Counterinsurgency in Afghanistan and Pakistan, 2001-2011, describes the lessons learned after ten years of war in Afghanistan. Click here to read Part I of the interview. 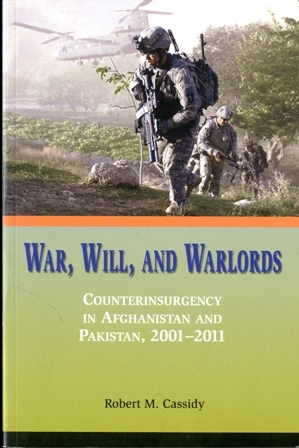 GovBookTalk: In Chapter 5 of War, Will, and Warlords, you refer to Pakistan’s prospects of doing what needs to be done as “hard, not hopeful, but not impossible.” What role does Pakistan play today in 2012 in this counterinsurgency, and how do you rate these prospects today on the scale of hopeful vs. impossible? Cassidy: There is currently not much at all to be sanguine about in relation to Pakistan, as it has done the most odious things in terms of regenerating and sustaining the Afghan Taliban and other groups. 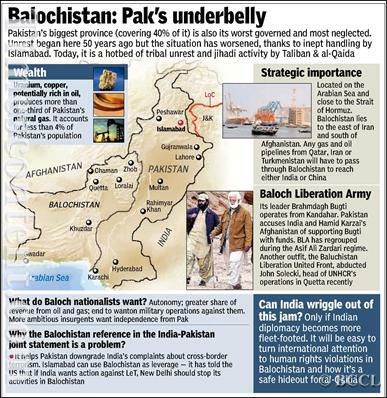 And, the Coalition and the international community have allowed Pakistan to get away with this—murders, literally. Pakistan poses as a friend, but performs as a foe. The Afghan Taliban would have withered away over the last several years of the surge if Pakistan had stopped supporting the regeneration, resting, recruitment, and retraining of militants, improvised explosive device makers, technology, and components in its tribal sanctuaries and in Baluchistan. Pakistan has employed terrorism and unconventional warfare to ostensibly achieve strategic depth by supporting its proxies in Afghanistan for almost four decades. However, the United States has not yet crafted a Pakistan strategy that employs its substantial leverage to modify Pakistan’s strategic calculus. A genuine Pakistan strategy, coupled with unambiguous momentum and perseverance in Afghanistan, could compel Pakistan to alter its strategic rationale and reduce support to the Afghan Taliban and the Haqqani network. Image: [GovBookTalk] The Haqqani Network,an insurgent group allied with the Taliban and operating on both sides of the Afghanistan-Pakistan border, is one of the most dangerous groups fighting U.S.-led Coalition forces and the Afghan government. Originating in Afghanistan during the mid-1970s, it was nurtured by the U.S. Central Intelligence Agency (CIA) and Pakistan’s Inter-Services Intelligence (ISI) during the 1980s Soviet war in Afghanistan. Maulvi Jalaluddin Haqqani and his son Sirajuddin Haqqani lead the group. 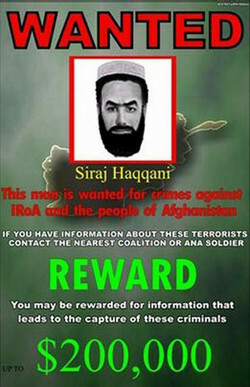 A reward of $200,000-USD was offered by Coalition forces for information leading to the arrest of Siraj Haqqani. Source: Wikipedia. The United States needs a strategy for Pakistan, one which is logically and temporally linked and integrated with the imperatives in Afghanistan. A viable strategy must first recognize that the U.S. does have considerable leverage over Pakistan. America must demand discernible results for the steady diet of carrots it has been feeding Pakistan for the perfidious abetting of enemies who kill and maim the Afghan and Coalition civilians and military forces trying to stabilize the country in some lasting way. GovBookTalk: After wars in Iraq and Afghanistan, what lessons has the US military learned about fighting a counterinsurgency campaign— in strategy, training, equipment, communications with locals, relations with coalition nations and neighboring regions? Cassidy: Let me clarify at the outset that counterinsurgency is not a strategy in and of itself, but more of the art and method of an operational campaign to defeat or neutralize an insurgency. The first and most paramount thing we should learn is not to unlearn or expunge what we know of previous counterinsurgencies’ best practices. In 2001-2003 when we undertook those wars, there was very little thinking, knowledge, doctrine, or awareness of the requirements for prosecuting counterinsurgency to a successful conclusion. The American military was compelled to adapt in the crucible of combat and it ultimately changed over time, and we now see the most seasoned counterinsurgent forces in our history. 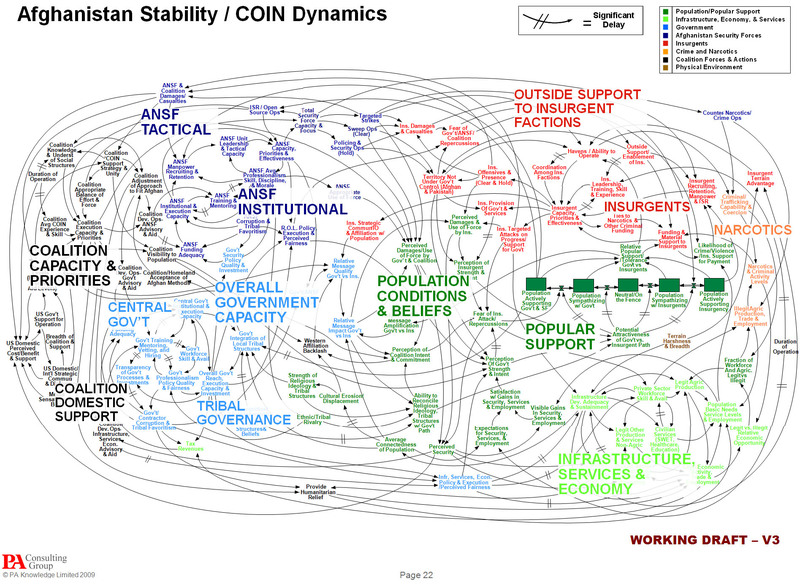 Image: [GovBookTalk]: This is an actual PowerPoint slide shown by Gen. Stanley McChrystal, commander of U.S. and NATO forces in Afghanistan in the summer of 2009 to portray the complexity of U.S. strategy. Source: Charles V. Peña. Click on image above to enlarge. Knowledge empowers and the one who thinks, wins: analyze and understand the environment. Good counterinsurgency campaigns fully integrate both general purpose and special forces. Start with simple and clear, not convoluted and cumbersome, command and control. Match action and information to address grievances to win the war of ideas. If the insurgency benefits from unimpeded sanctuary, ruthlessly shut this down. Start with the end— what should the indigenous security capacity be when we leave? Show moral rectitude: kill precisely the insurgent leaders and protect most of the people. GovBookTalk: If you had to do it all over again, would you change anything in this book? Cassidy: Two things: one, I would have added a chapter that explained how we need to rethink and reframe our relationship with Pakistan after the bin Laden raid; and two, I would have made one more look to minimize any redundancy between the first chapter and the last chapter because the last chapter was something I developed apart from the main manuscript when I was last in Afghanistan during 2011. GovBookTalk: Did you personally learn anything from writing this book and what was it? Cassidy: I deepened and broadened my knowledge about the enduring and deplorable perfidy of the Pakistani ISI in Afghanistan over almost four decades of war in the region. GovBookTalk: Are there additional resources where readers can go for more information, assistance with this topic? Cassidy: Some useful resources include the websites of the Afghan Analysts Network (AAN), the New America Foundation Counterterrorism Strategy Initiative Policy Paper series, the Congressional Research Service (CRS) [link to Stanford University’s archives of CRS reports], the Institute for the Study of War (ISW), The Council on Foreign Relations and the U.S. Government 1230 and 1231 reports on the progress in Afghanistan. Also, they could start with the bibliography of this book. GovBookTalk: What are the next upcoming projects for you? I am drafting an outline for a new book with the draft title of, On Raw War: The wages of the American way of strategy and war. This will start with a theoretical chapter that distills the best thinkers on strategy and war and then it will proceed to explore American wars after Vietnam, from the Persian Gulf War up until Afghanistan to assess how practices compared to the theory. GovBookTalk: Do you have anything specific that you want to say to your readers in parting, a memorable quote? 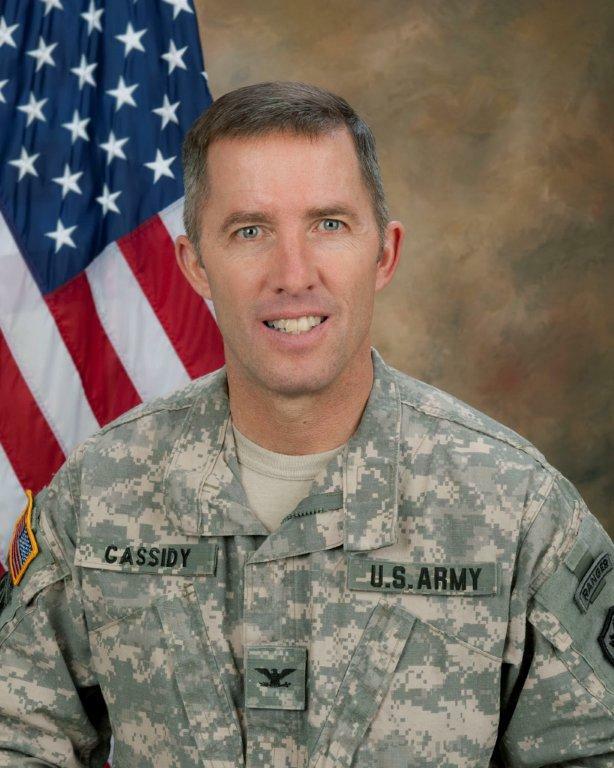 GovBookTalk: Thank you for your insights, Col. Cassidy! HOW CAN YOU OBTAIN a copy of War, Will, and Warlords: Counterinsurgency in Afghanistan and Pakistan, 2001-2011? To learn more about America’s involvement in Afghanistan, browse our new Afghanistan Collection of Federal publications. About the author: Colonel Robert M. Cassidy, USA, is a military professor at the U.S. Naval War College, a senior fellow with the Center for Advanced Defense Studies, and a member of the RUSI Advisory Board. His experience and scholarship focus on strategy and irregular warfare. He has served on deployments to Iraq, Afghanistan, the Persian Gulf, Egypt, and Grenada. He most recently served as a special assistant to the senior operational commander in Afghanistan in 2011. 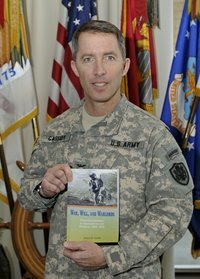 Colonel Cassidy has published a number of articles and two previous books on stability operations and irregular war: 1) Peacekeeping in the Abyss: British and American Peacekeeping Doctrine and Practice after the Cold War and 2) Counterinsurgency and the Global War on Terror: Military Culture and Irregular War. He has a Ph.D. from the Fletcher School of Law and Diplomacy at Tufts University. Government Book Talk editor Michele Bartram writes a two-part interview with author Col. Robert Cassidy about his new, critically acclaimed book, War, Will, and Warlords: Counterinsurgency in Afghanistan and Pakistan, 2001-2011, which covers the causes and consequences of counterinsurgency in that troubled region and recommendations for future American approaches there and in similar operations. Part I goes into the cause of the war there and explanations of the key concepts. Click here to read Part II of the interview. Since World War II, the character of the wars America has fought has changed radically. Traditional methods of warfare, technology, training and strategies designed to counter national armed forces, are not suited for today’s counterinsurgency operations often where civilians mingle freely with enemy combatants in complex urban terrain or remote encampments, and which can be carried out by local warlord-led troops, small guerrilla groups or even individual insurgents. First in Iraq and now honed by the war in Afghanistan, American military (operations), tactics and technology have required reengineering to adapt to this new reality of war. Soldier-scholar Col. Robert Cassidy, Ph.D., is a military professor at the U.S. Naval War College and a senior fellow with the Center for Advanced Defense Studies who served on operations in Grenada, Egypt, the Persian Gulf, Iraq, and most recently as the special assistant to the commander of ISAF Joint Command in Afghanistan from June 2010 to June 2011. As an expert in strategy and irregular warfare, Cassidy has authored the recently published War, Will, and Warlords: Counterinsurgency in Afghanistan and Pakistan, 2001-2011 which is featured this month in our U.S. Government Bookstore’s special War in Afghanistan collection. Foreign Policy magazine lauds War, Will, and Warlords as a “must read for all scholars, policymakers, diplomats, and military practitioners seeking to understand the Afghanistan-Pakistan nexus” which provides invaluable analysis “concerning uneven U.S. involvement in the region, the contradictions of Pakistan, and the counterinsurgency (COIN) approaches implemented on both sides of the porous region” between Pakistan and Afghanistan. Some refer to the War in Afghanistan as America’s longest war, but to Afghans, conflict has been going on there continuously for almost four decades. Today, July 17, 2012, actually marks the 39-year anniversary of when continual tumult and conflict began in Afghanistan. In July 1973 Afghanistan’s last King or Padishah, Mohammed Zahir Shah, was ousted in a coup d’état by his first cousin and former Prime Minister Mohammed Daoud Khan, who established a republican government. Years of conflict followed, including war with the Soviet Union, rise and fall of the Taliban, Al-Qaeda and today’s insurgency. 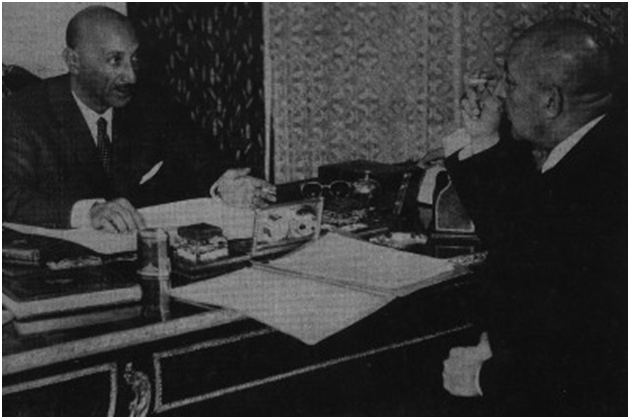 Image: (Left) Zahir Shah, King of Afghanistan, with his first cousin and Prime Minister Daoud Khan (right) who later deposed Zahir in 1973, beginning Afghanistan’s slide towards forty years of war. Source: CivFanatics Forum. In this two-part special feature, Government Book Talk was pleased to be able to interview Col. Cassidy about the book, his personal observations about the conflict and the countries, and his recommendations for the future. Government Book Talk: What inspired you to write this book? Colonel Robert Cassidy: I had written a study about the Soviet War in Afghanistan at the French École de Guerre in 2000-2001 and I continued to study our war in Afghanistan after September 2001. The proximate reason was that I was at the Naval War College in 2009-2010 between tours in Afghanistan and I thought it would be helpful to capture and compare what happened for the first eight years to those years after the surge. Also, I knew that researching and writing this book would make me more knowledgeable and useful as an adviser in Afghanistan during my tour in 2010-2011. GovBookTalk: I understand that this was not the original title for the book. How did you arrive at the final choice? Cassidy: Two initial titles were vetoed. First, I suggested “Malice in Wonderstan,” and my editor then suggested “Ten Years Gone,” which I liked because of its triple reference to the Afghan War’s length, the Led Zeppelin classic song, and the subject of that song, an ancient Greek war. In the end, I picked “War, Will and Warlords” because these three things are so salient in terms of Afghanistan and what we have done or not done there since we supported the anti-Soviet insurgency in the 1980s. WAR: First, the Afghan people have faced tumult, conflict, and war since July 1973… A corollary to this is the fact that the Pakistani state has helped foment insurgent proxy war and terrorism in Afghanistan since 1973. In fact, fomenting insurgencies in Afghanistan by proxy is in the metaphorical DNA of the Pakistani security apparatus. WILL: Second, protracted irregular wars are a contest of will, as insurgents use the art of the ambush, armed propaganda in the form of spectacular violence, and cross-border sanctuaries to protract the war to erode the will of the counterinsurgents so they give up the fight. The insurgents can win if they can prolong the war while not exhausting their own will. 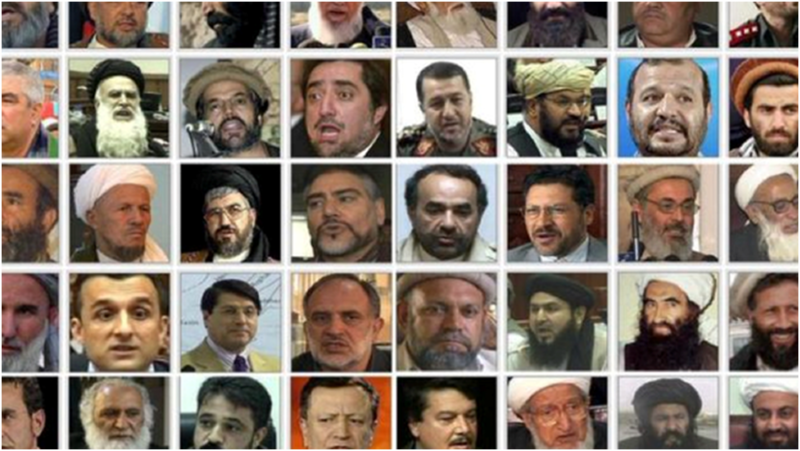 WARLORDS: Third, warlords, or feudal barons, run criminal patronage fiefs or insurgent-terrorist networks that operate across the borders and exist outside and inside the states as well as serve as state proxies in some cases. Patronage has long been a reality in South Asia. However, the growth and scope of warlord-led insurgent and criminal networks that began before the Soviet-Afghan War… have helped catalyze support for the insurgencies. GovBookTalk: What is the overall message in the book that you want readers to grasp? Cassidy: To understand the catalysts for and the ineluctable links between security and insurgency in both Pakistan and Afghanistan; to know the grave consequences if we ultimately fail, and to fathom the odious role of Pakistan’s perfidy in its persistent support of terrorism and insurgency in Afghanistan. GovBookTalk: You have been on multiple tours in Afghanistan. What surprised you most about either the people or the country itself? Cassidy: I would not use the word surprised, but what intrigued me and enthralled me were the country’s beautiful diversity and the Afghan people’s formidable resiliency. GovBookTalk: What was the single most important “don’t miss” chapter and page in your book and why? Cassidy: The most important chapter is Chapter 3 because it explains why and how the Taliban regenerated from sanctuary in Pakistan and what catalyzed the Pakistani Taliban’s insurgency within and against that state. The most important single page is page 6 because it elucidates why and how the tribal areas in Pakistan along the Durand Line are the most dangerous places on earth in terms of the terrorist and militant machinations to support attacks on the U.S., other western states, and non-western states. 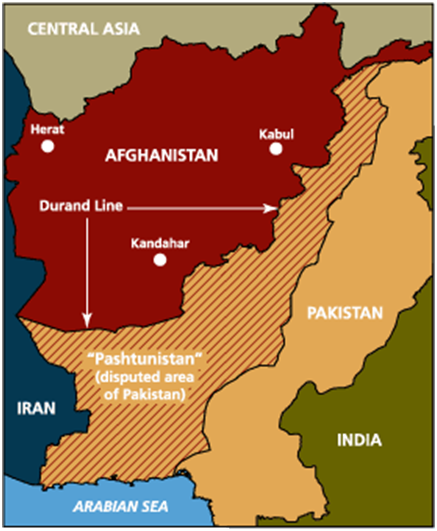 Image: [GovBookTalk] The Durand Line: Established in an 1893 treaty between Amir Abdul Rahman Khan of Afghanistan and Sir Mortimer Durand, the foreign secretary of the British Indian government, the Durand line set up the border between Afghanistan and then British India/now present-day Pakistan. Not recognized today by Afghanistan and a source of contention with Pakistan, this poorly marked buffer zone cuts through the Pashtun tribal areas, dividing ethnic Pashtuns (Afghans) on both sides of the border. It is considered to be one of the most dangerous places in the world. Source: IntelliBriefs and Wikipedia. Memorial Day in the United States is a time to remember those members of the military who have died in service to our country. 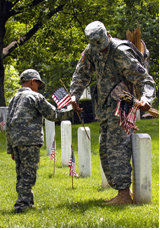 Originally known as Decoration Day, this federal holiday originated after the American Civil War to commemorate the fallen Union soldiers as widows would turn out to decorate the graves. In fact, as I write this, all available members of the 3rd U.S. Infantry Regiment, also known as The Old Guard, are a just a mile away from GPO headquarters at Arlington National Cemetery, planting over 280,000 small U.S. flags—one at each grave marker— that will stay in place just for Memorial Day weekend, carrying on an annual “Flags In” tradition started in 1948. Many on this day take the time to reflect on the various military missions that resulted in the losses of brave service men and women, with our current war in Afghanistan offering the most recent opportunity for reflection. A master at providing this analysis is Joseph J. Collins, author and professor at the National War College, who wrote the new book from the National Defense University called “Understanding War in Afghanistan” in order to provide military leaders, civil servants, diplomats, students and civilians the lessons in history of war and strife in that troubled nation. How did the United States and its allies get to where they are today? How can that coalition understand the many wars in Afghanistan over the past 33 years? How should it define its interests today? How can this coalition of nearly 50 nations help to bring this war to an end? 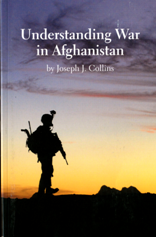 Chapters 2 through 5- Prior wars: Next, Collins reviews the war-fraught Afghan history, the Soviet-Afghan War and the conflicts that followed it, including their Civil War, the rise of the Taliban, their role in 9/11, and the first war against the Taliban government. Chapter 6- Insurgency: This chapter helps us “understand the basic theory and concepts that underpin Afghan counterinsurgency in the 21st century”. Chapter 7 & 8- 2nd War against the Taliban, Rebuilding and the Surge: These chapters enable us to comprehend what happened during 2002-2010 as the coalition attempted to fight the Taliban while rebuilding this battle-weary land. Chapter 9: – Assessment and Options: Collins completes his book with a frank assessment of the “potential choices that national leaders face for the future” in Afghanistan. 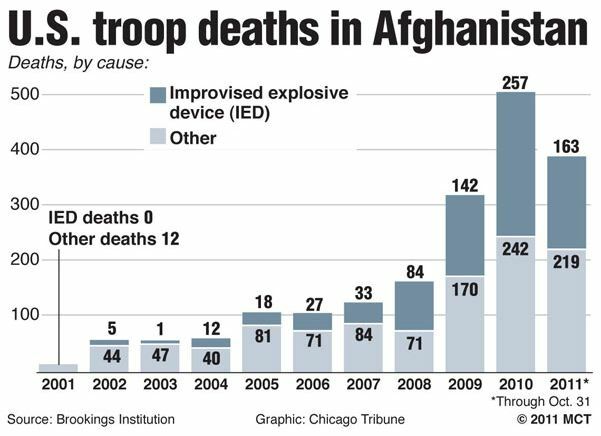 Now in its twelfth year, the Afghanistan War is the longest war in U.S. history, surpassing even the Vietnam War. Operation Enduring Freedom, with over 1,892 fallen servicemen and women just from the United States and over 1,000 casualties from other nations who form part of the coalition, is in the minds of many this Memorial Day. Following the mantra of Spanish born American philosopher and writer George Santayana who wrote “Those who do not learn from history are doomed to repeat it,” Understanding War in Afghanistan helps provide us the basis to learn the lessons of history in this particular conflict in order to inform our future course. What better way to remember those who have fallen in Afghanistan than to learn about the cause for which they sacrificed all? How Do I Obtain Understanding War in Afghanistan?